Chicken Malay Skewers are just the light snacks that you need on your Iftar menu. The secret is in the marinade. We have also included a simple dip recipe to go with the skewers. See the full recipe below. Marinate chicken cubes in Knorr Chicken Stock Powder, Knorr Lime Seasoning, spices, ginger, mustard, yoghurt and chillis for 1- 3 hours. Soak the skewers in water before skewering the chicken, this will prevent them from burning. 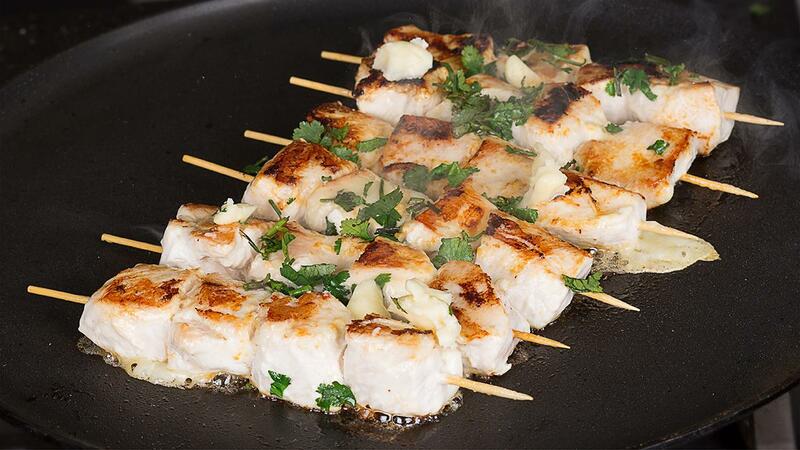 Grill the chicken over hot charcoal and serve with bread and lime garlic mayo sauce. To make the sauce simply mix all the ingredients together.